Did you know that most people wait an average of seven years from the time they first experience changes in their hearing to the time they decide to seek treatment? 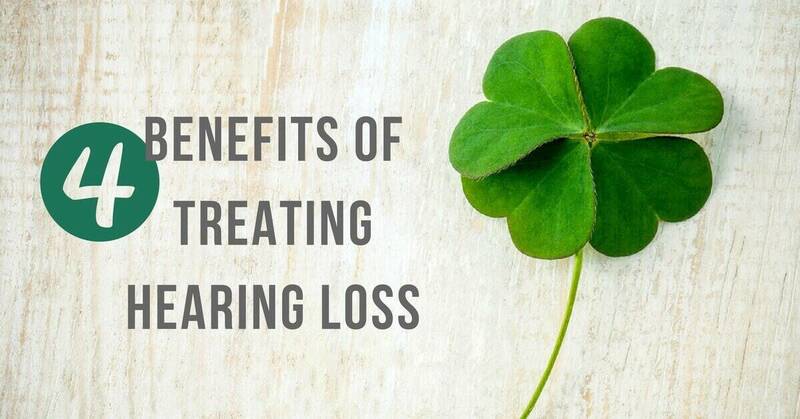 There are a great number of benefits to treating hearing loss. Here, we look at the top five. While it may seem that hearing only affects our ears, the reality is that hearing loss greatly affects our cognitive abilities. Our ears are an important part of the auditory process, but the actual experience of hearing – that is processing and recognizing sounds in our environment – occurs in the brain. As a result, there are many effects of hearing loss on the brain and a number of our cognitive processes. When we do not hear as clearly, our brains must work harder to process audio data from our surroundings. This creates a heavier cognitive load for the brain. Furthermore, if we leave hearing loss untreated for too long, our brains must work harder in order to hear again when we finally do decide to treat hearing loss. Researchers from Johns Hopkins University have found that untreated hearing loss could lead to a higher risk for developing dementia. The brain must use resources reserved for other functions in order to hear clearly. In addition to a higher risk for dementia, hearing loss could affect our memory and our mood. The good news: treating hearing loss has been found to bring significant benefits to our cognitive abilities. Studies from various international sources – from Japan to the US – have shown that people who treat their hearing loss with hearing aids perform as well as people with normal hearing on cognitive tests. As social beings, our interpersonal relationships are crucial to our happiness and health. From our family members to our friends to our acquaintances, we interact with people every day on many different levels. What happens when communication becomes difficult due to hearing loss? Hearing loss impacts the way we recognize speech and thus, the way we communicate with others. With hearing loss, it becomes difficult to follow what people are saying, and to discern between sounds that are similar. Even more, hearing loss makes group conversations, especially in busy, loud places, very challenging. It is difficult for people with hearing loss to focus on speakers’ voices in a group conversation, and it is also difficult to discern speech sounds from background noises in a given environment. As a result, people with untreated hearing loss tend to withdraw gradually from social settings and may isolate themselves from their most important relationships. The good news: when you treat your hearing loss, your hearing aids provide excellent speech recognition features that support your most important conversations and your fun casual chats. Treating hearing loss is a commitment to your loved ones, as much as it is to your own health and happiness. Studies have shown that people with untreated hearing loss have lower earning power than colleagues with normal hearing and colleagues who treat their hearing loss with hearing aids. Whatever the occupation, hearing is an important tool on the job. Untreated hearing loss has been found to interfere with communication, memory, concentration, and productivity. If you believe you have a work-related hearing loss, due to exposure to loud noise, it is important to seek treatment. Approximately 60% of the American workforce experiences some degree of hearing loss. Furthermore, hearing protection is necessary if you work in a loud environment. The good news: people who treat their hearing loss with hearing aids are on the same earning level as their colleagues with normal hearing. Treating hearing loss is an investment in your career – as well as your well-being. With untreated hearing loss, taking into account difficulties with communication and social isolation, people may be at higher risk for developing depression, anxiety, and issues with stress. Together with social isolation and issues with cognitive function, people are at higher risk for developing dementia. On a physical level, untreated hearing loss increases risk for falls and accidents. If you can’t hear the fire alarm or a car horn, it is difficult to maintain your own personal safety and independence. The good news: treating hearing loss keeps you connected to all of the sounds around you, which improves your abilities to keep yourself safe and aware. There’s no reason to live life with hearing loss. Are you ready to get your hearing tested? Contact us at one of our Coweta Hearing Clinic locations today. Our team provides comprehensive hearing tests and hearing aid fittings.